Welcome to another Trip Report Tuesday post! 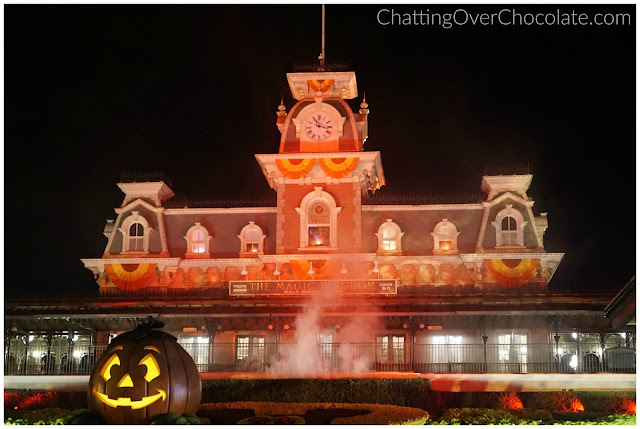 Today I'm excited to share some of the fun from our evening at Mickey's Not-So-Scary Halloween Party! Let's get right to the good stuff! 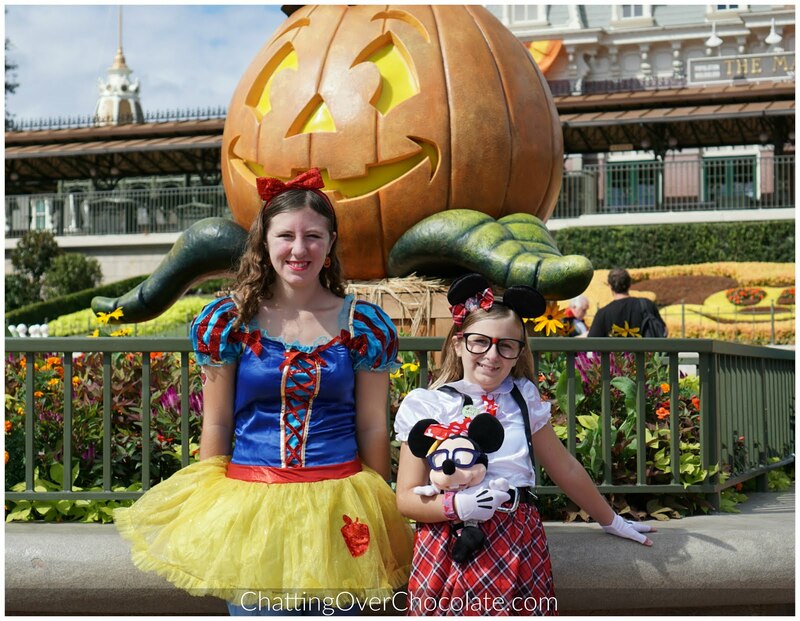 Princess dressed as Snow White and Little One went as Nerd Minnie with Nerd Mickey in tow, of course! The Photo of Princess in front of Snow White and the Seven Dwarfs' cottage is one of my favorites from the trip! As we were exiting the ride there was a couple dressed as the Evil Queen and the Huntsmen. He told the queen, "We need to find Snow White!" Then turned toward Princess and said, "Oh look! There she is!" 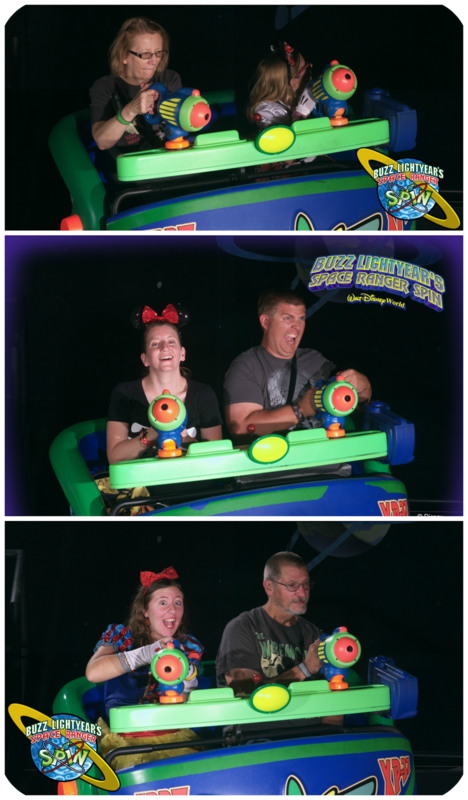 That moment was nearly as much fun as the ride itself! Next we moved on to one of my personal favorites, Walt Disney's Carousel of Progress! This ride has such a special place in my heart as it was created by Walt Disney himself for the 1964-1965 World's Fair! It was then moved to Disneyland where it remained until 1973. A few years later it'd find its new home in Magic Kingdom. Kicking back, relaxing, and taking in this classic attraction is always a bright spot in every Disney trip for my family! The collage below features my favorite scene, Halloweentime in the 1940s. 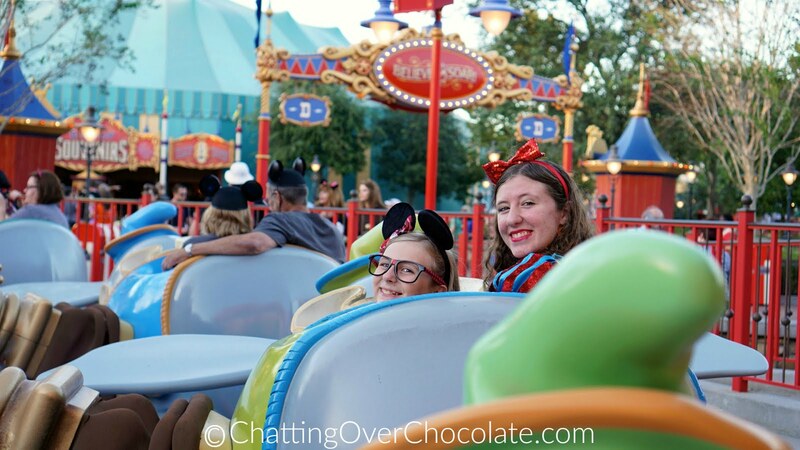 We always enjoy a ride on this quiet and carefree highway in the sky! 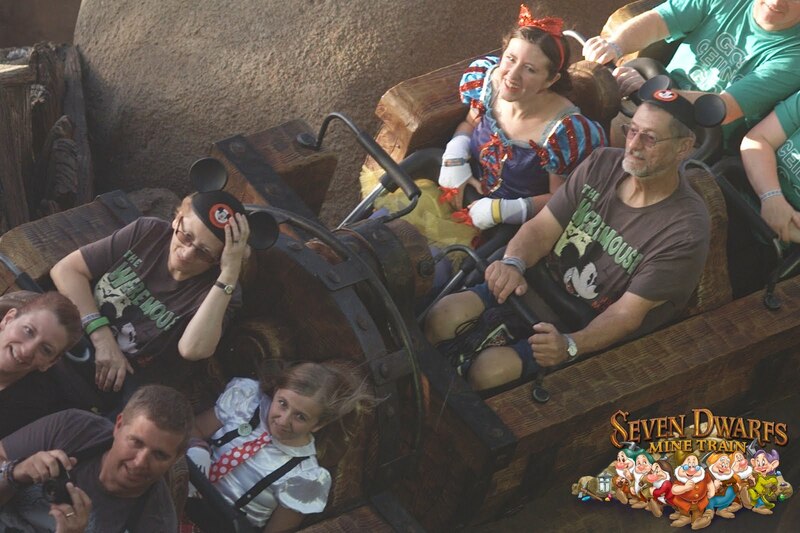 Ride photos are always so much fun to see! Side note: Jason clearly takes it more seriously than I do! ...and he can't resist hamming it up when we get to the camera! Ha! 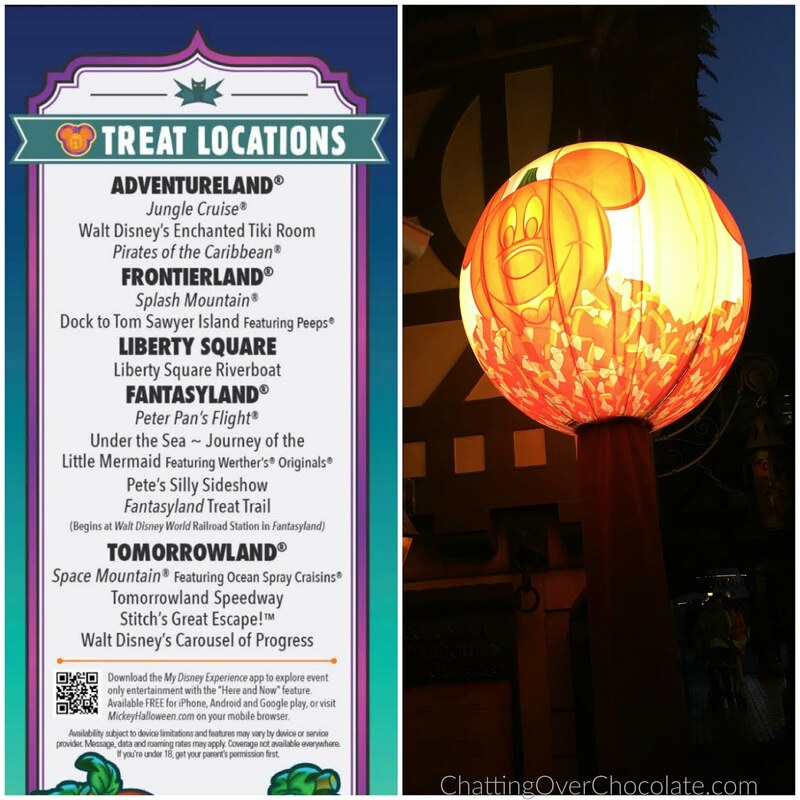 We have a tradition of dining here before Mickey's Not-So-Scary Halloween Party. There's just something about the out of this world musical stylings of our alien friend, Sonny Eclipse, that puts us in the mood for Halloween fun! This chocolate cake is one of my favorite desserts in the world! It's one of those things that just tastes like Disney to me. 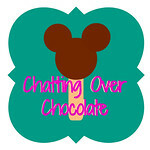 The chocolate iced chocolate cake covered in Mickey sprinkles always makes my day! I saved ordering this for a special occasion during the trip, then savored every magical bite. 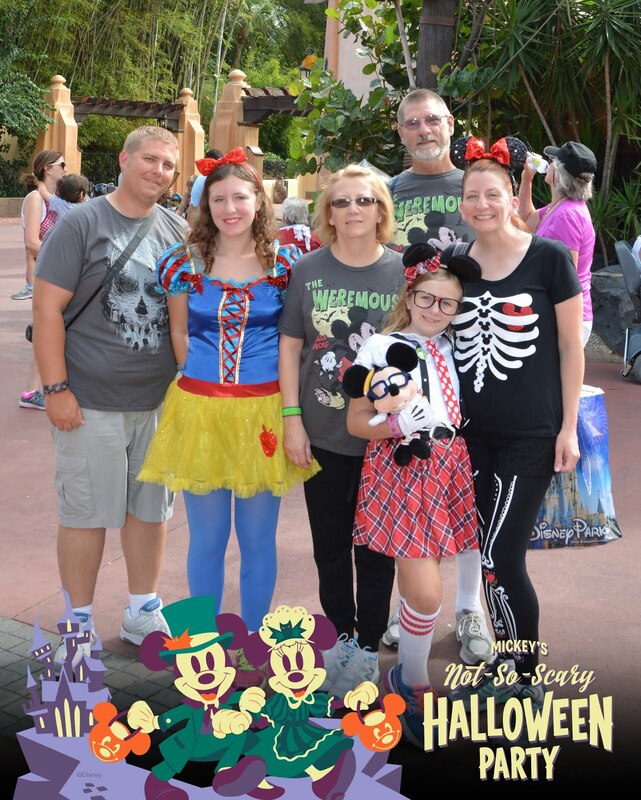 Disney World is for the young and young-at-heart, which means trick-or-treating at their Halloween Party has no age limit! Hooray for candy! If you happen to have someone in your party with a special dietary need be sure to talk to someone at Guest Relations at Town Hall. 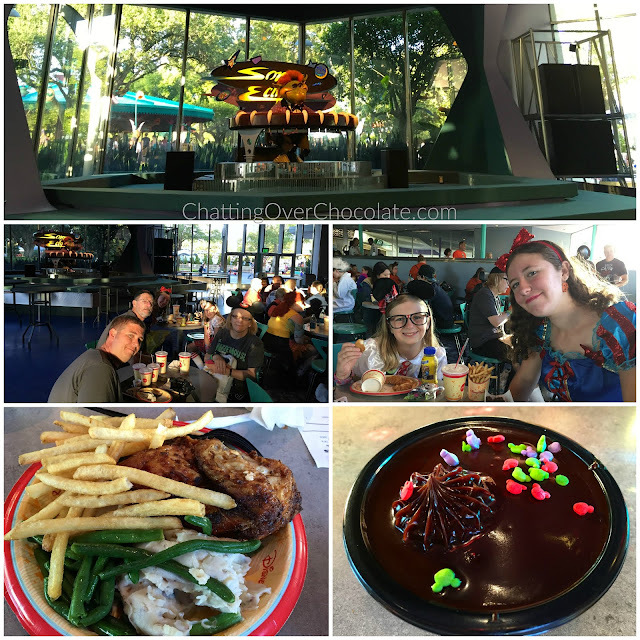 My dad is diabetic and was given a generous amount of yumminess that was safe for him, which made us all happy! 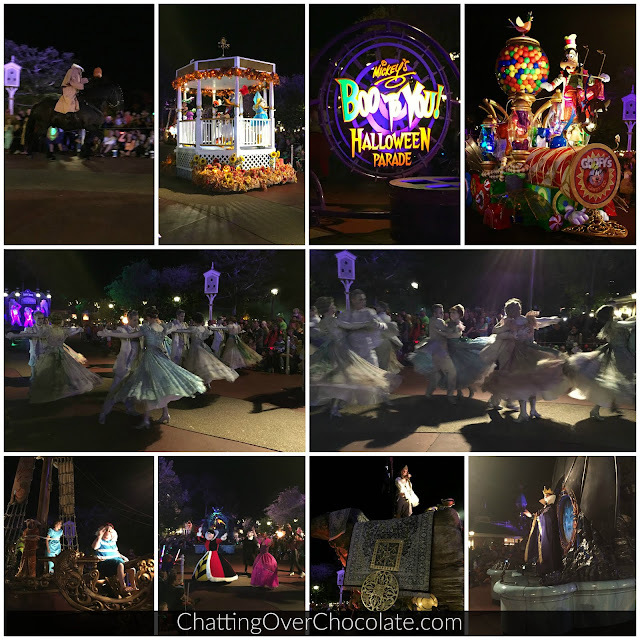 The Boo to You Parade is hands down my all-time favorite parade! In my opinion it's worth the price of the MNSSHP ticket! "Boo to you, a trick or treat, for you, that's boo, it's you know who, a boo to you and you and you and you, Happy Halloween!" 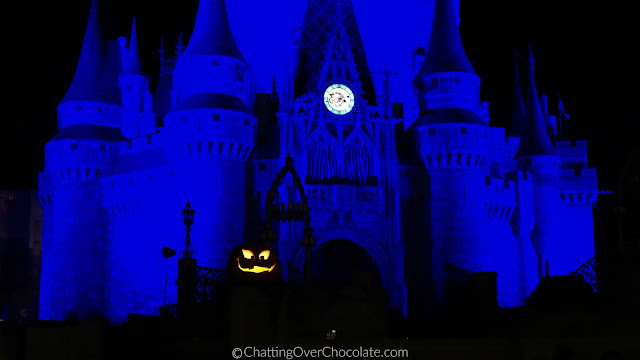 One of the things I love most about MNSSHP is the festive ambiance created by the lighting and holiday touches like this lit jack-o-lantern. 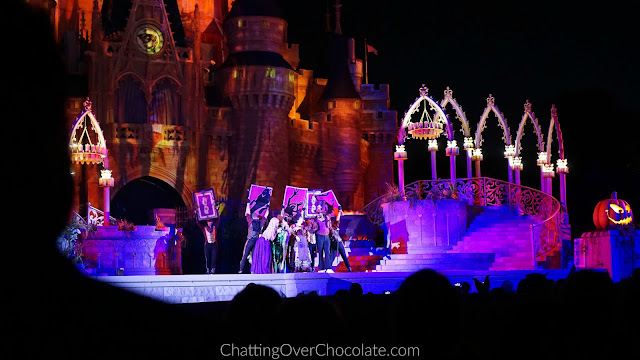 The Hocus Pocus stage show was a new addition to the party this year. People went wild over it! I (believe it or not) have never seen Hocus Pocus. This stage show incorporating Disney villains was a fun one, even for people like me who didn't know those silly Sanderson sisters! 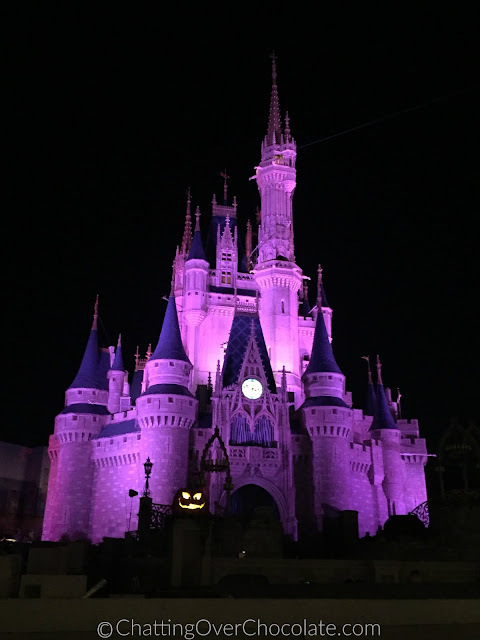 We were right up front for the stage show and planned to stay put for HalloWishes (the party exclusive Halloween version of Magic Kingdom's Wishes fireworks display). However, Little One was in need of a bathroom break, so my dad and I decided to take her to the restrooms just outside of Crystal Palace. Jason, my mom and Princess remained near Cinderella Castle for the sparkly display, while my dad, Little One and I enjoyed the nice uncrowded area we were in, a comfortable bench and all. Though our party was divided we all enjoyed our views of the display and the company each we kept during it. On our way out we were greeted by cast members with barrels full of Dove chocolates. We gladly accepted another handful of sweetness and made our way to the buses. 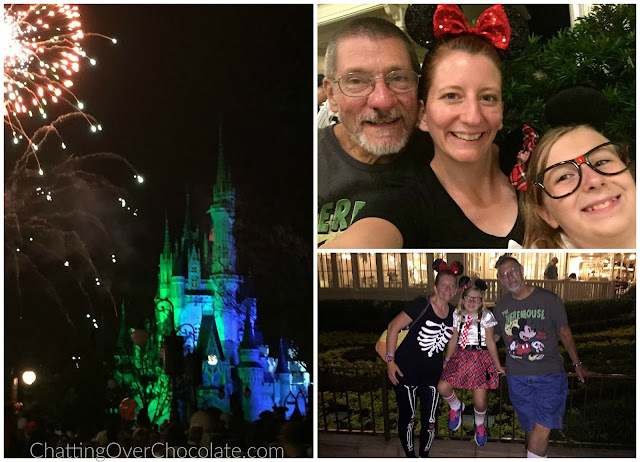 It was a night to remember and one of my favorite parts of this Disney vacation! Thanks so much for stopping by today! Here's a sneak peek of our "wild" start to day 6. I hope you'll be back next Tuesday to hear all about it, friends! 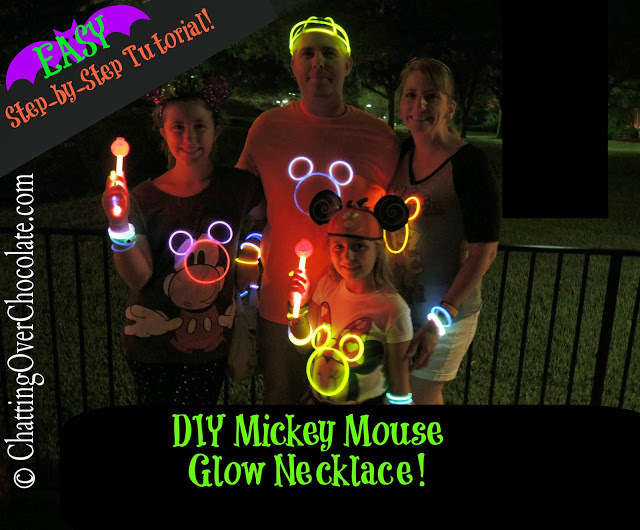 10 Tricks & 10 Treats of Mickey's Not-So-Scary Halloween Party! Oh goodness! This girls are so adorable on a "normal" day so to see them dressed up in adorable costumes just doubles the cuteness! <3 Unfortunately we missed out on Carousel of Progress when we visited WDW as it was down for the majority of the day, but I look forward to making it when we go again! The history of Disney is just so magical! 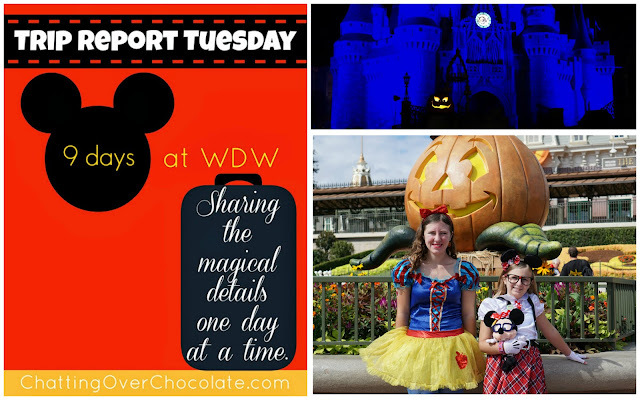 Thank you for sharing this spookily-magical day! 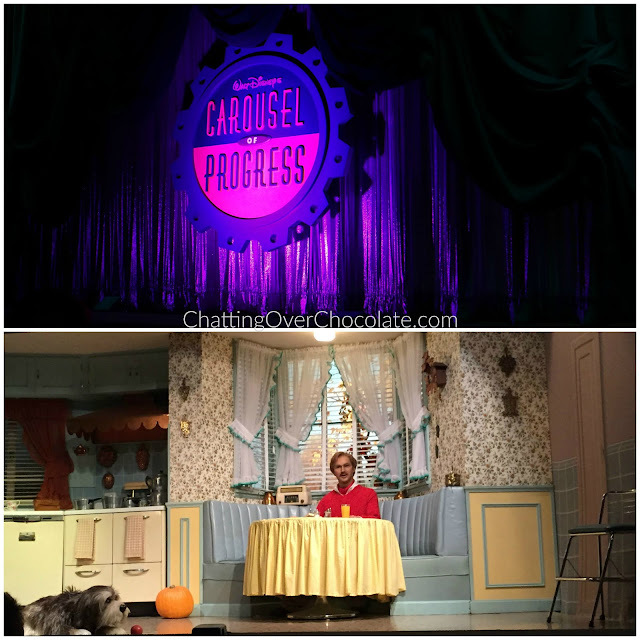 I don't know how I missed the Carousel of Progress when we were there but I have got to see that next time we go! 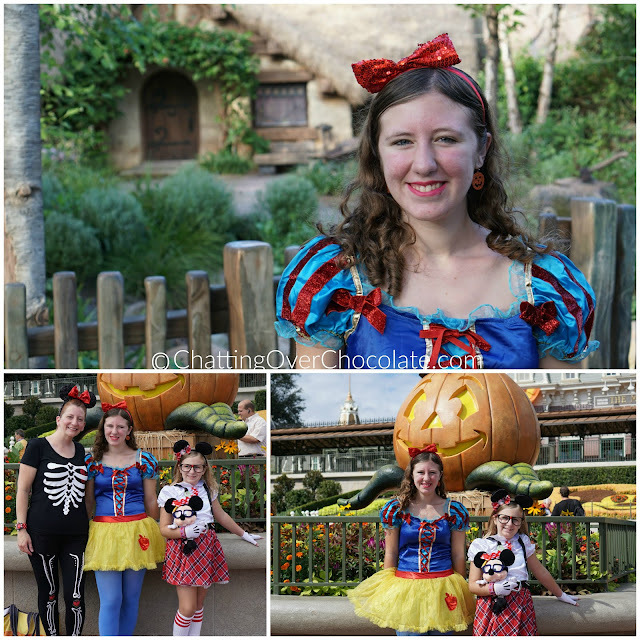 That is such a cool picture of your Snow White in front of the cottage! Love it! 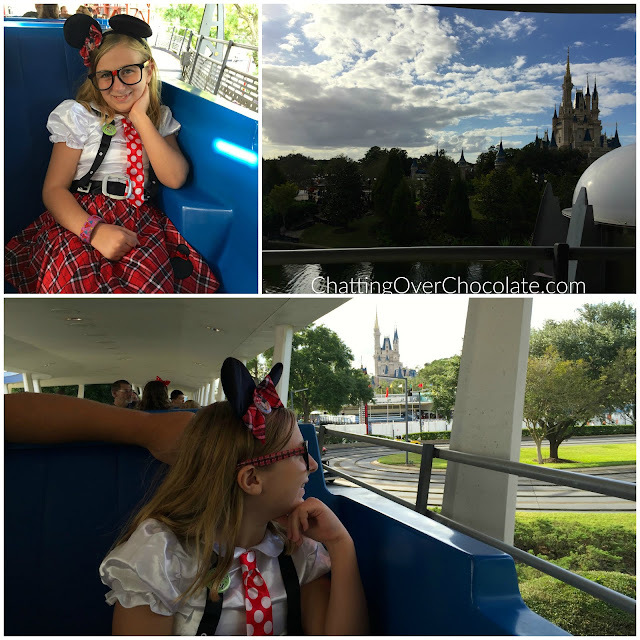 Not being a ride person, I really enjoyed the People Mover - it has such a great view of the castle. I love trip report Tuesdays! This looks so fun!! A Halloween party at Disney sounds so cool! I can only imagine how many awesome costumes you get to see! What a fun day!!! 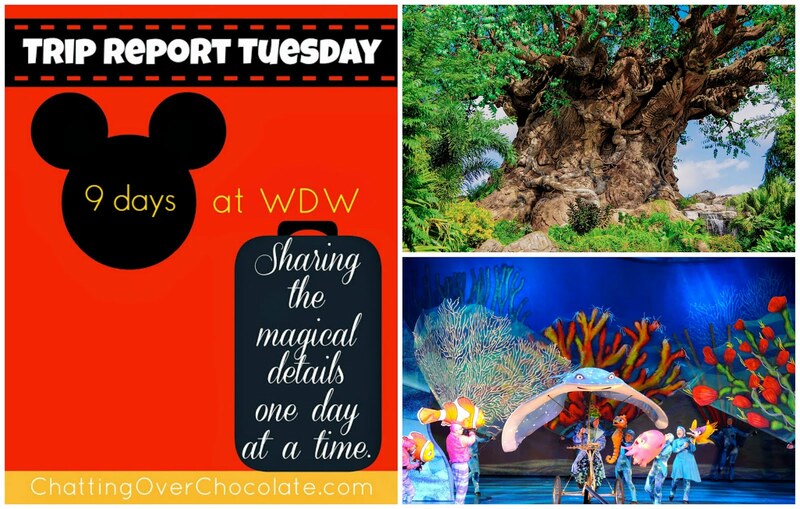 That chocolate cake looks amazing :) T and I are talking about planning a Disney trip later this year so you know I'll need to get all of your insider tips! I love this day! Lazy morning, Halloween at night. Can't beat it. 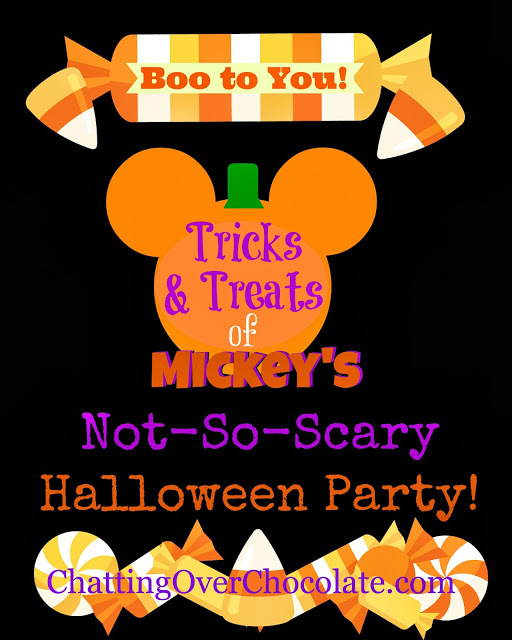 We've never done the Halloween Party though. But it sure looks like fun. I was going to ask if you caught the Hocus Pocus show because I'd heard so much about it, so that answered my question. I can't believe you've never seen the movie! I finally bought it last October (really cheap on Amazon), so Alisa and I watched it. She really liked it. :) I think you'll like it too! And there's the good 'ole Headless Horseman! I need to see that in person one of these days! OMG, how have you NOT seen Hocus Pocus?! You need to watch it. I loved looking through these pics! I'm wanting to take Kane in October this year. Your girls looked so cute in their costumes! I've actually never seen Hocus Pocus either - so you're not the only one! The Halloween party looked like so much fun. Hopefully we can do it one year!